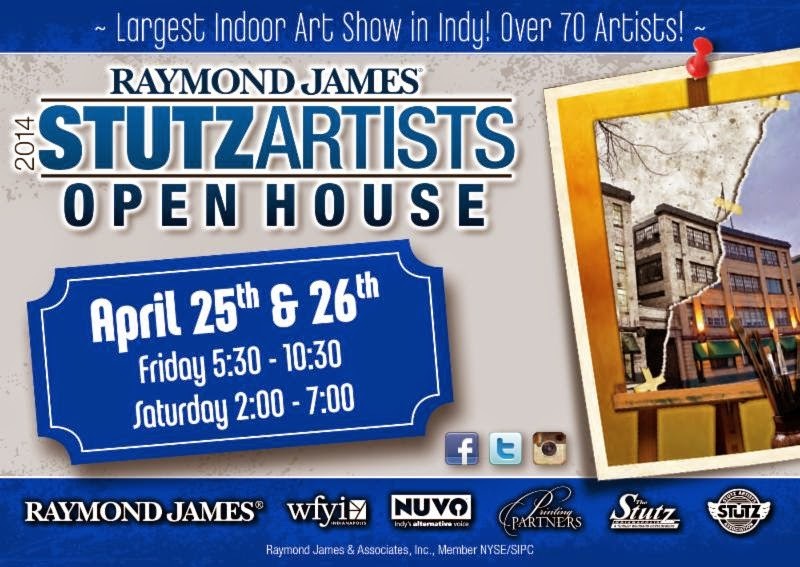 I would like to formally invite you to the 21st Annual 2014 Raymond James Stutz Artists Open House. Below are some questions and answers about this event. For more information please visit www.stutzartists.com. What is the Stutz Open house? This year the open house will be Friday, April 25th and Saturday, April 26th. The doors open Friday at 5:30PM and close at 10:30PM. On Saturday, doors open at 2:00PM and close at 7:00PM. There are over seventy artists who will have their studios all neat and tidy with artwork on display for purchase. There will also be musical entertainment throughout the building as well as many food vendors. This year there will be hands-on activities thanks to Wine and Canvas (Cookies and Canvas for the kiddos). In the Stutz Art Gallery on the first floor of the building, there will be “First Look” which is an art exhibition that features at least one piece of artwork from every artist participating in the open house. The exhibition opens on April 4th from 5:00 to 9:00PM and runs through the end of the month. The gallery is open 1-5PM Thursday and Friday and will also be open during the open house. This is a great way to preview which artists you would like to visit first. The Stutz building houses the most artists in one building in the Midwest. This means there will be lots of art and lots of different kinds of art. There are painters, sculptors, photographers, jewelry makers, textile and fabric artists, artists who work with steel and other heavy duty metal, furniture makers, and many more. Prices of artwork can range from $10 to $10,000. I have been busy creating work inspired from women throughout history this year. I also have some limited edition prints available this year. 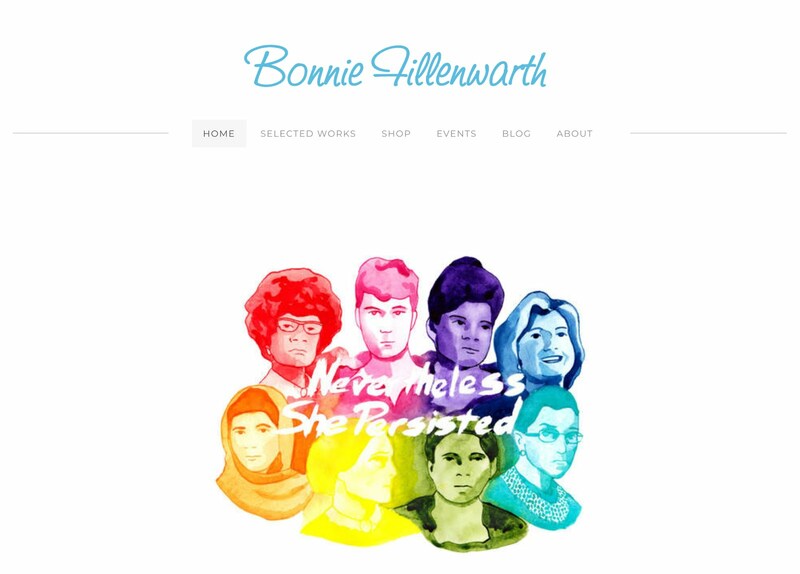 To get a preview of my work please visit my website bonniefillenwarth.com. You can also see my works in progress on my blog bonniefillenwarth.blogspot.com. And if that is not enough, you can follow me on Facebook, Twitter, and on Instagram. Tickets cost $15 the day of the event. They are $10 in advance form Old National Banking Centers or the Stutz Business Center Office (317)488-7373. You can also purchase tickets online for $14 at www.stutzartists.com. Children twelve and under will receive free admission with a paying adult. Saturday re-entry is free with the previous day’s ticket stub.